Joan Veon [1949 – 2010] explains the history and significance of a growing Public Private Partnership model of government. Joan’s research and conclusions reveal P3s are nothing more than an arm of the growing corporatocracy and profit at all cost. Over a 16 year period, Joan interviewed and questioned prime ministers, presidents, kings, and heads of state. Joan covered over 103 international meetings, including: the G7, G8, G10, G20, and Bank for International Settlements (BIS) in Basel Switzerland; attended yearly the World Economic Forum in Davos Switzerland; and twice a year covered the IMF World Bank meetings. In addition she attended UN meetings on the Free Trade Areas of the Americas, Sustainable Development, the Earth Summit, Climate Control, the International World Court, and numerous others. 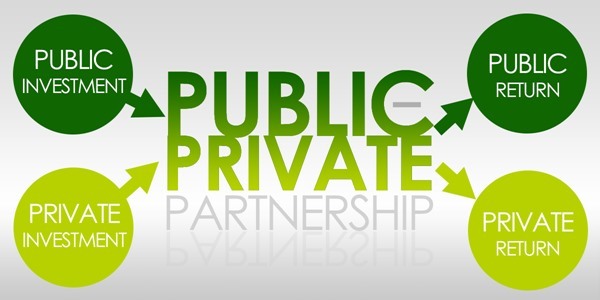 It is important to understand how Public Private Partnerships [PPP , P3] operate and what they mean for all countries world-wide. Public refers to all levels of government including the UN and foreign governments. Private refers to Multinational Corporations i.e. GE, Foundations, Rockefeller, Non Governmental Organizations (NGO)* i.e. Sierra Club, Universities, Associations such as AAA. Joan Veon is an author, journalist, expert on globalization, radio talk show host and successful businesswoman. In her video Joan explains the mechanism by which corporations gain power over all levels of government: local, county, state, federal, foreign and the United Nations, thus creating corporate fascism, on a global level. Public- Private Partnerships are one of the most effective tools used by globalists to implement Agenda 21 Sustainable Development, with the goal of destroying the structure of governments that represent the people, and put profit and resources in the hands of those private interests. The public part of the Public Private Partnership is the government, which becomes corrupted and no longer represents the taxpayers, when it accepts funding from private interests. Further, the government becomes silent against abuses to the public when they have been compromised by PPP business arrangements, and, worse yet, may also sell off resources and utilities that were owned by the taxpayers. The government does this because they are broke and more taxation is unpopular. The private part of the PPP is often a combination of these entities: Corporations (usually multinational). Foundations (like Rockefeller). Associations. Universities. Any entity with lots of money. Non-Governmental Agencies (NGO’s). NGO’s are usually environmental agencies, like the Sierra Club and Nature Conservancy. American local, county, state and the federal governments have gone broke** and are ripe for the sale of their assets to PPP’s because of deficit spending, and a lack of economic common sense. John Maynard Keynes promoted deficit spending to Roosevelt as a way to escape the Depression. This results in diluted government and loss of power. Be alert and recognize this scam, study the structure and intent of PPP, take action to expose the PPP deceit at government meetings and elsewhere. There is much at stake for ‘everyone’. Silence is implied consent to globalization so please click the links, take corrective action and inform others. Thank you.